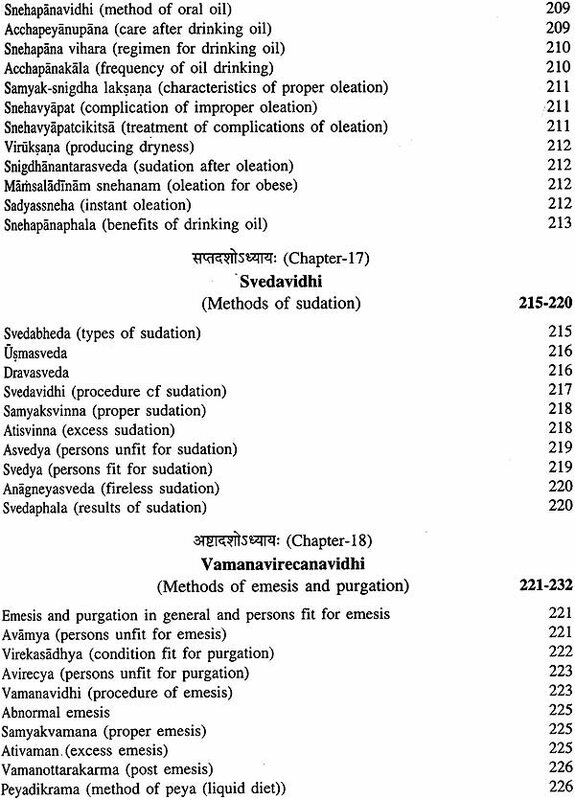 As Vedic literature finds its roots in 'Vedatrayi (the RK, the yajus and saman) so does Ayurveda in 'Brahatrayi consisting of Caraka Samhita, Suruta Samhita and Astangahrdaya, Caraka and Susruta represent two different streams of treatment kayakitsa and salaya salakya respectively. 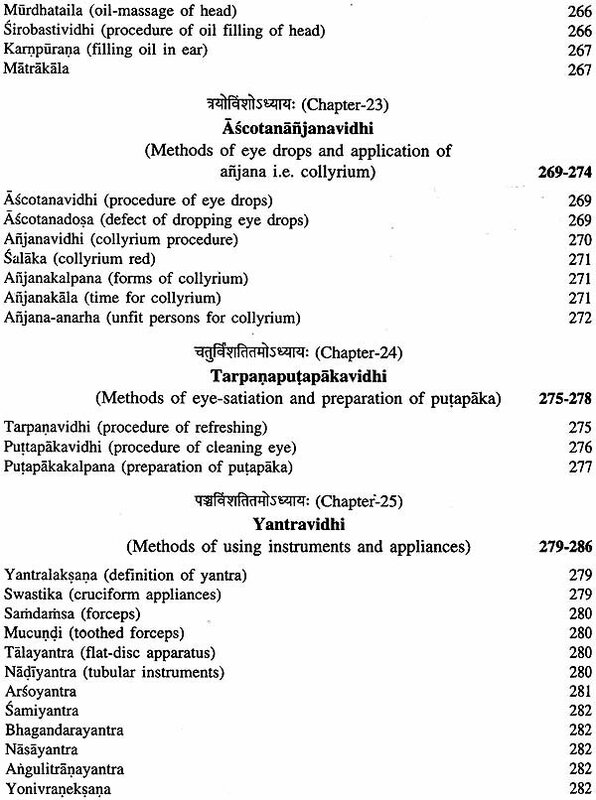 Probably Vagbhatta, the propounder of 'Astangahrdaya' Was first to realize the need for bringing forth all the eight branches of Ayurvedic science together in one treatise with a view facilitate the learners andpractitioners of the science in acquiring its complete knowledge by going through a single text. 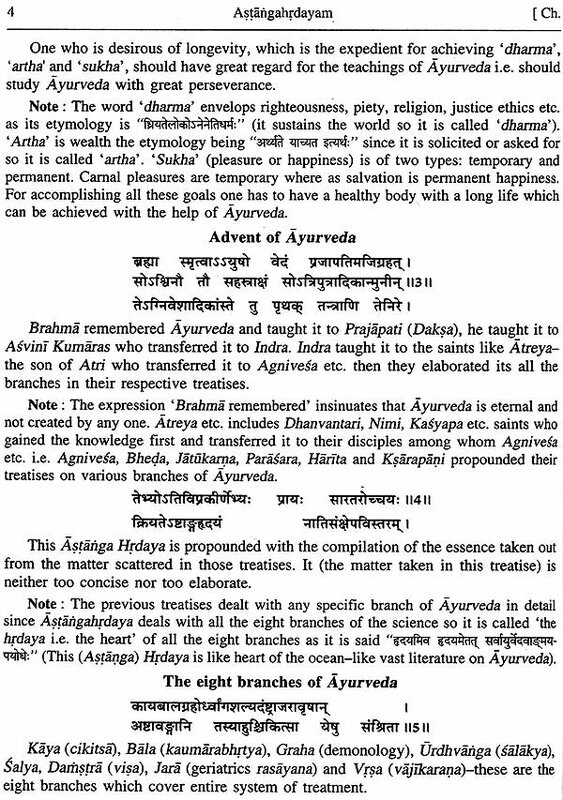 Two Treatises dealing with the eight branches of Ayurveda ' Astangahrdaya' and ' Astangasamgraha are ascribed to the authorship of Vagbhata, which led to controvercy among scholars, but since both the works differe vastely in their style and content, as 'Samgraha' is written in prose and verse mixed style where as 'Hrdaya' is written fully in verse. So the two works can not be attributed to authorship of one person. 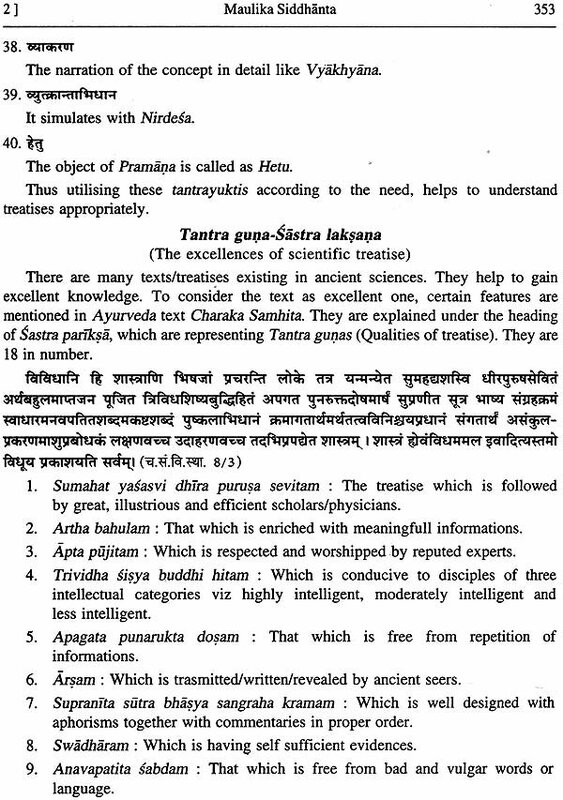 Looking into the need of student only Sursasthana of 'Astangahrdaya' has been translated. Nearness with the original text had been prime consideration. If something had to be added for explaining any aspect, well, that has been kept under brackets. 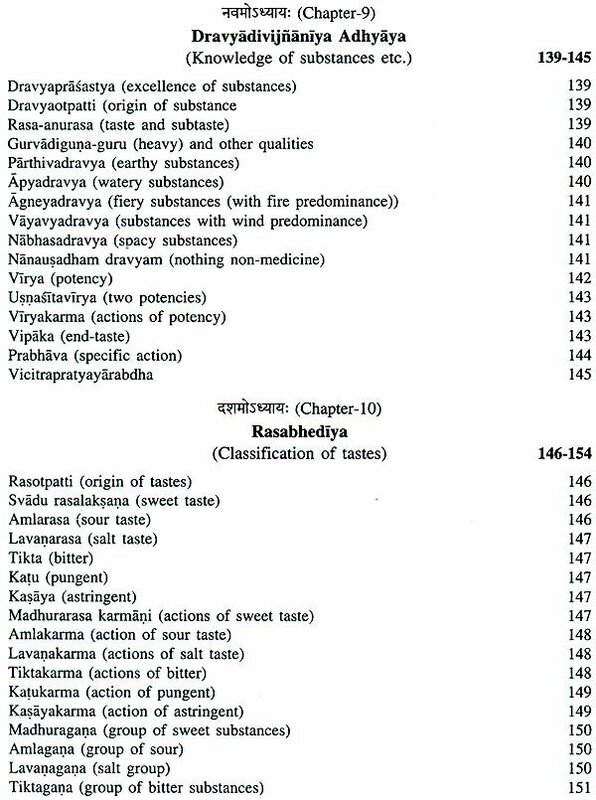 The two most important commentaries, 'Sarvangasundara' by Aruna Datta and 'Ayurvedarasyana by Hemari were taken as basic source. 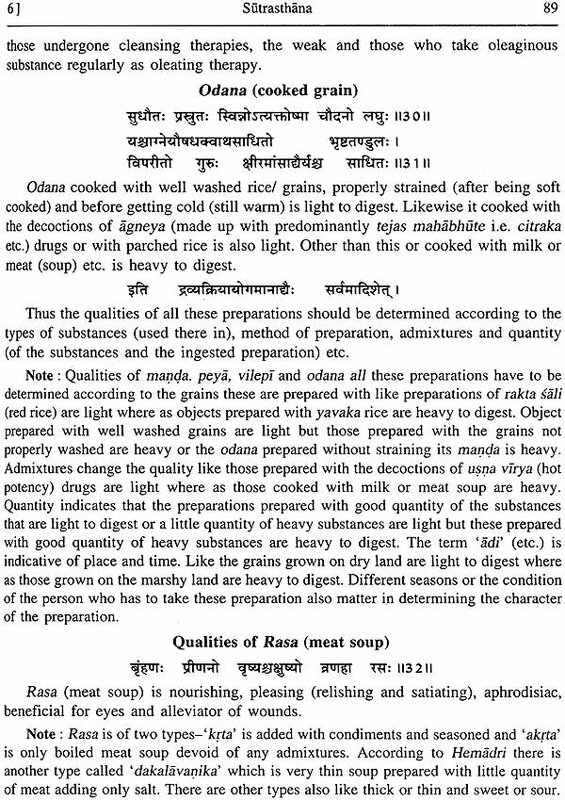 though those have not been translated tyet all the salient points have been given separately. 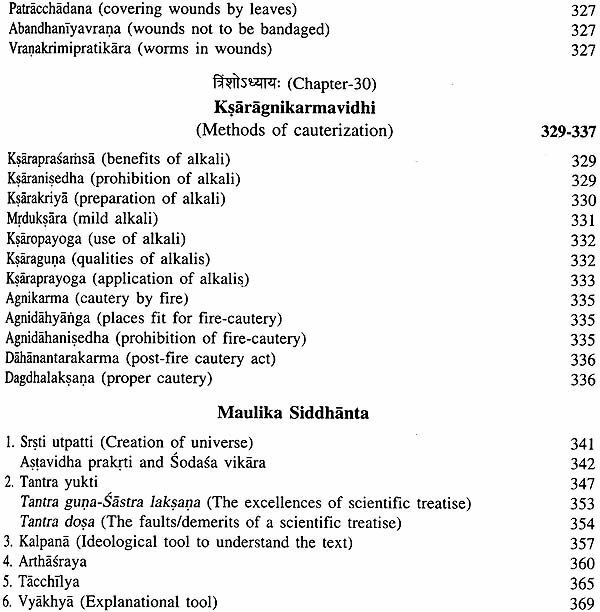 Along with these commentaries help has been taken from 'Vidyotini the Hindi Commentary by Atrideva Vidyalankara. 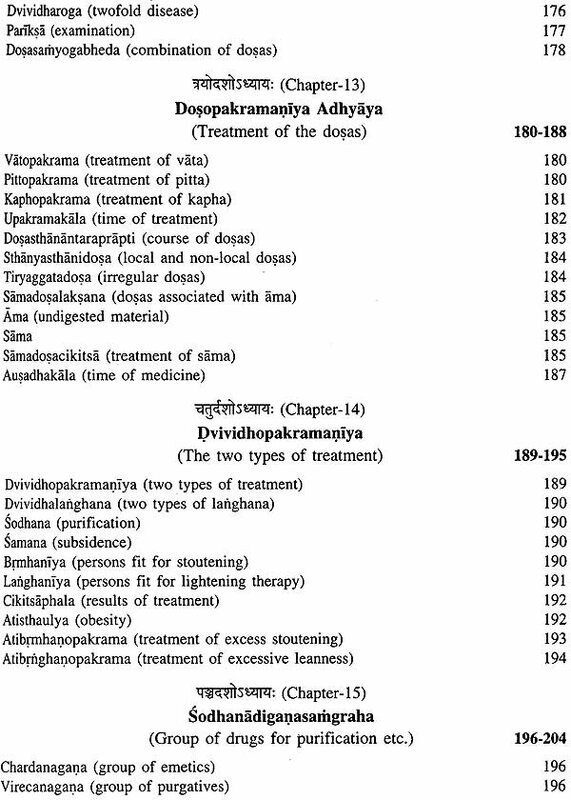 Dr. (Mrs.) Asha Kumar M.A., Ph.D. Exponent in Samskrta has acquired special experience of working on manuscripts during her work tenure with NISTADS (Project on History of Science and Technology during Medieval period). Besides editing and translating two mss. 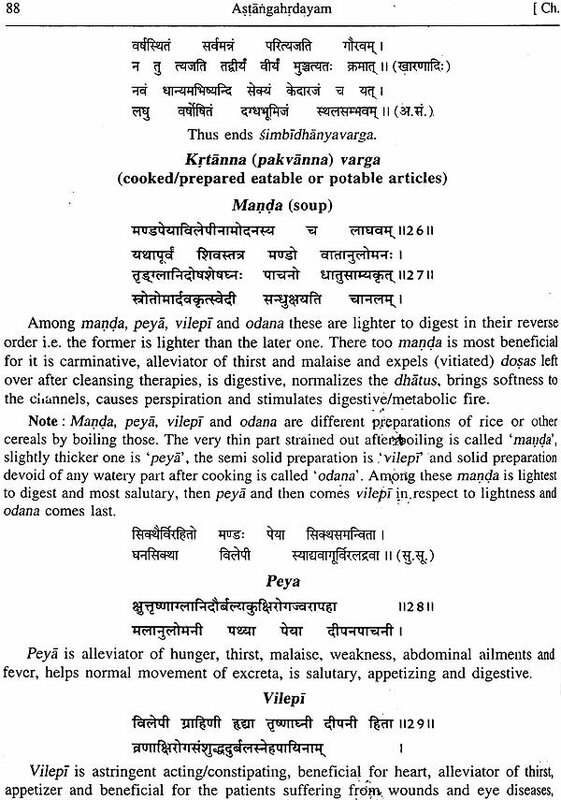 of Aayurveda i.e Yogacandrika (Translated in Hindi and English) and Vrndamadhavaparanama Siddhayogah (Translated in English) and has tranlated in Hindi-English one Prakrta Mahakavya (Setubandham) also. She has been writing Articles, poem and stories in different journals and magazines on literary, social and cultural subjects. 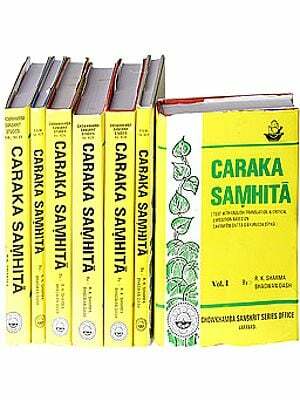 her source of inspiration has always been ancient Samskrta literature. 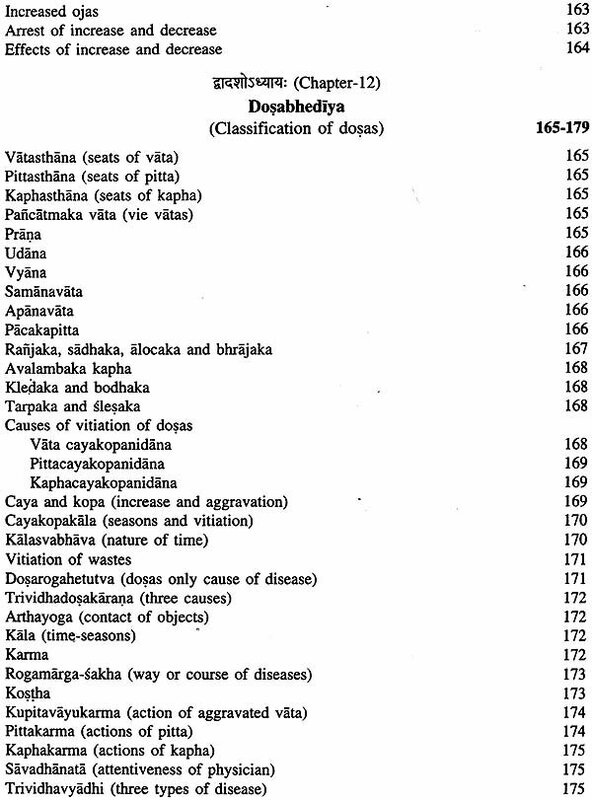 Dr. P.V. Tewari A.M.B.S., Ph.D., a well known academician, administator and research workers was born on 5th August, 1937 to freedom fighters Shri Rama Shankar Tewari recipient of Tamrapatra awarded by Late Prime Minister Smt.Rama Devi Tewari having lost her life during 42 freedom movement. A throughout meriorious studedent has been serving Ayurveda for the last 59 years in different capacities at SAC Lucknow and B.H.U served as Lecturer, Reader and Professor, Head Department of Prasuti Tantra. 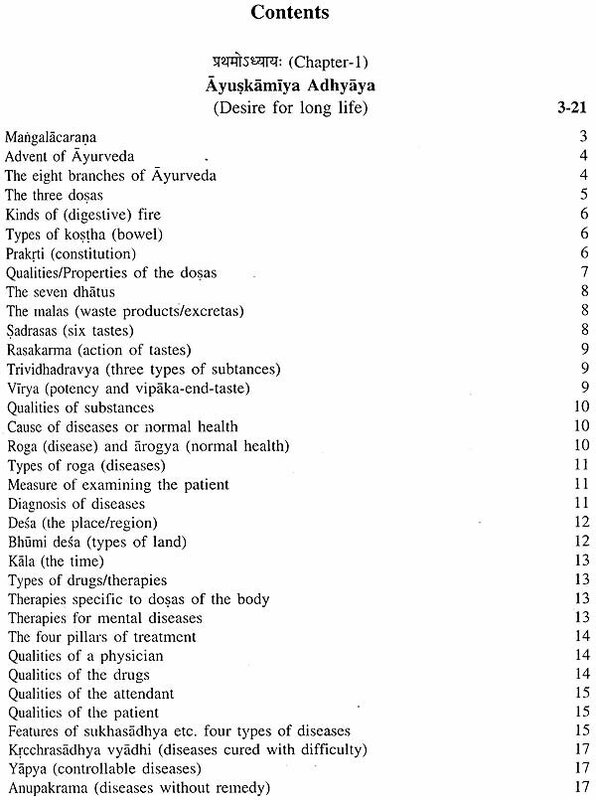 Dean, Faculty of Ayurveda twice, Director, WHO Research Centre and Coordinator, Faculty of Ayurveda and Ayurvedic Pharmaceuticals. She has also been associated with almost all important committees of universities and institutes of Ayurveda and also Ministry of health, Govt. of India. As a dedicated research worker has guided 53D. Ay. M./MD. Ay Scholars and 21 Ph.Ds. ; has published 258 scientific papers in National and International Journals and attended sizeable national and international conferences. She has received eighteen awards, citations and honours. Includingdistinguished Aluminus award B.H.U. 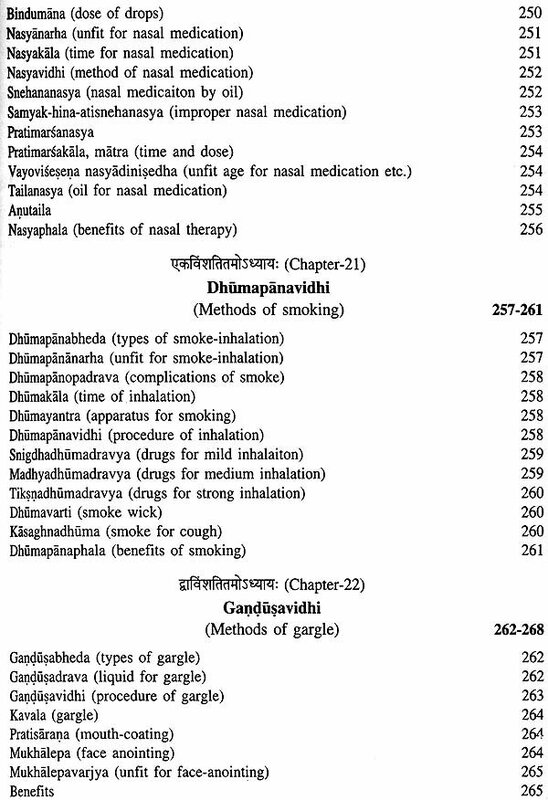 2009., Life time achievement Award RAV 2014; Rashtriya Dhanwantari Ayurveda Puraskara Ayush Mantralaya-2016. 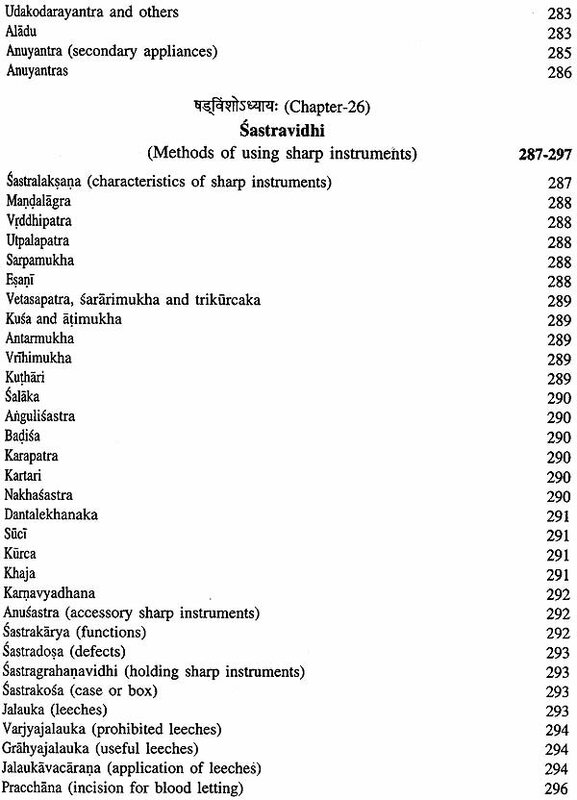 A profile writer has written preface/ forewords of seventeen books related to Prasuti-Stiroga and Kaumarabhrtya; published 19 books, contributed 7 chapters and edited and edited three ournals and is continuing on serve goddess Saraswati. 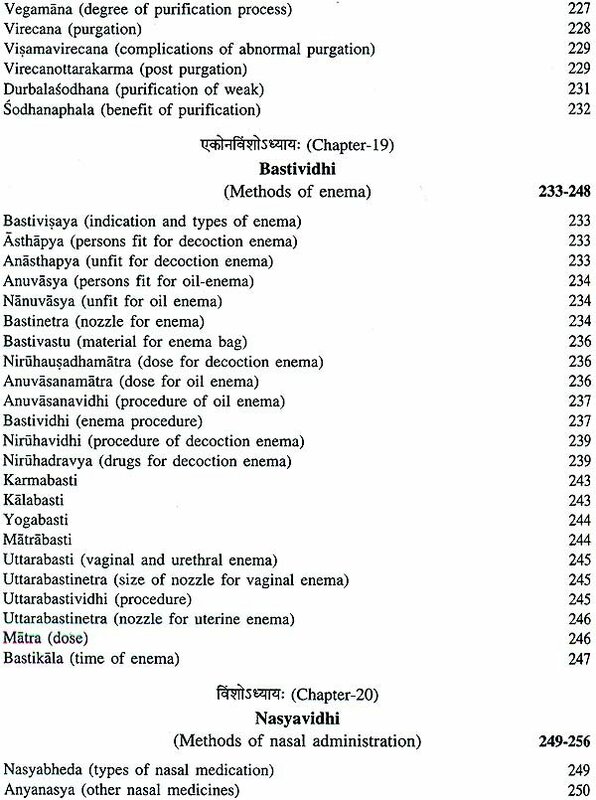 As vedic literature finds its roots in 'Vedatrayi' (the Rk; the yajus and saman) so does Ayurveda in 'Brhattrayi’ consisting of Car aka Samhita, Susruta Samhita and Astangahrdaya. 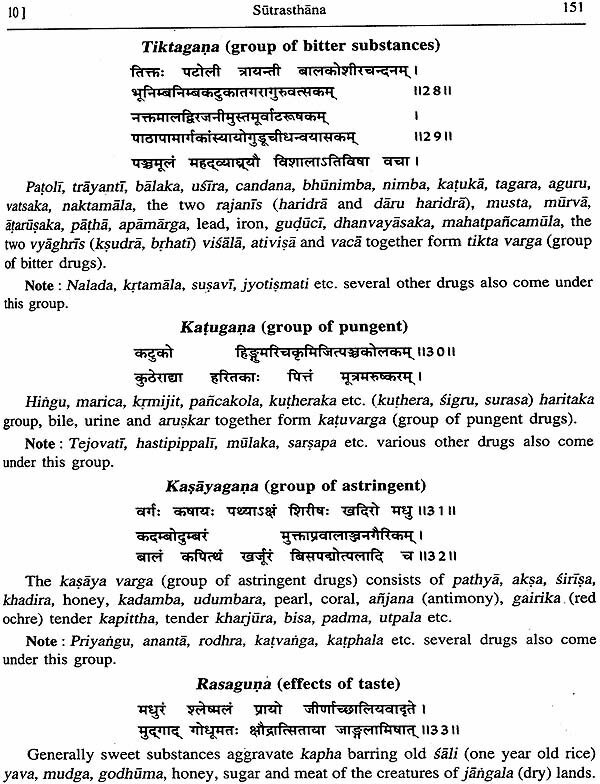 Caraka and Susruta represent two different streams of treatment kayacikitsa and salya-salakya respectively. 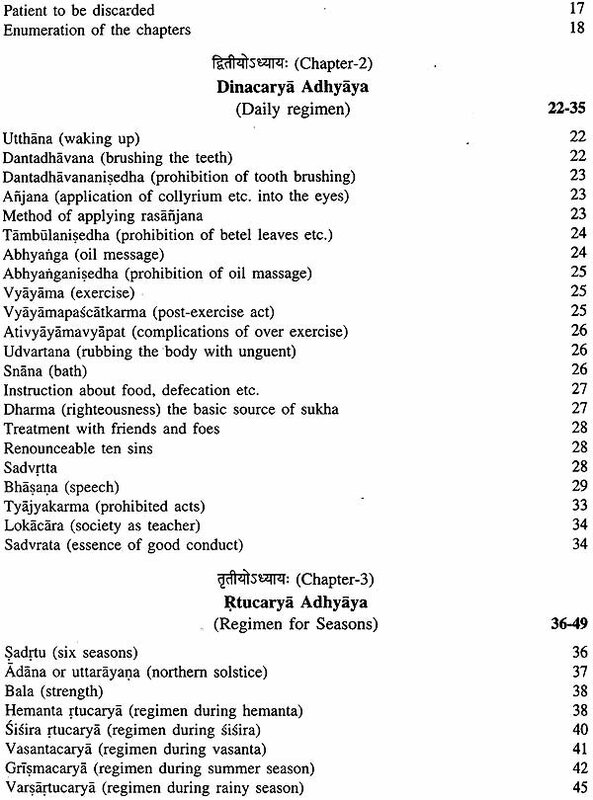 Probably Vagbhatta, the propounder of 'Astangahrdaya' was first to realize the need for bringing forth all the eight branches of Ayurvedic science together in one treatise with a view to facilitate the learners and practitioners of the science in acquiring its complete knowledge by going through a single text. 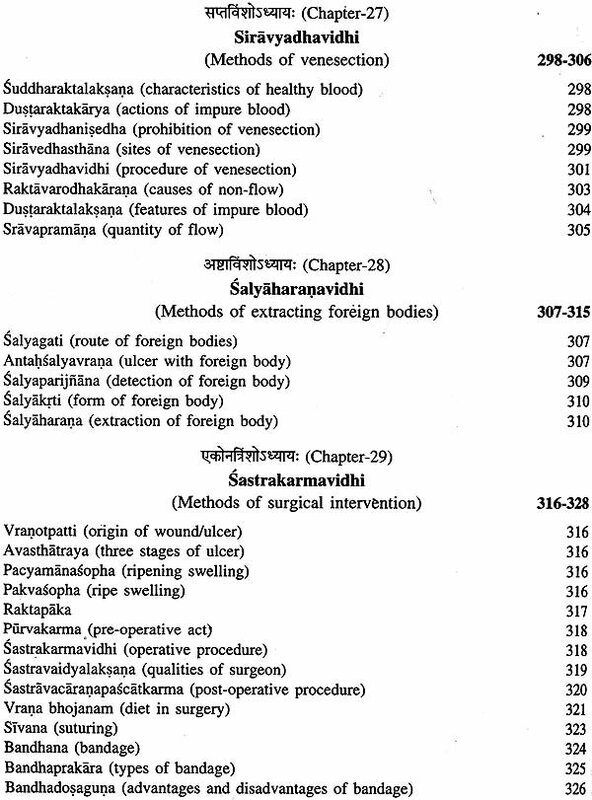 Two treatises dealing with the eight branches of Ayurveda 'Astangahrdaya' and 'Astangasamgraha' are ascribed to the authorship of Vagbhata, which led to controversy among scholoars, as some of them conteded that both of these works are authored by same person, where in he first wrote 'Astangasamgraha' in elaborate style and then brought forth the concised edition of the same with the title 'Astangahrdaya', since both the works differe vastely in their style and content, as 'Samgraha' is written in prose and verse mixed style where as 'Hidey« is written fully in verse. So the two works can not be attributed to authorship of one person. 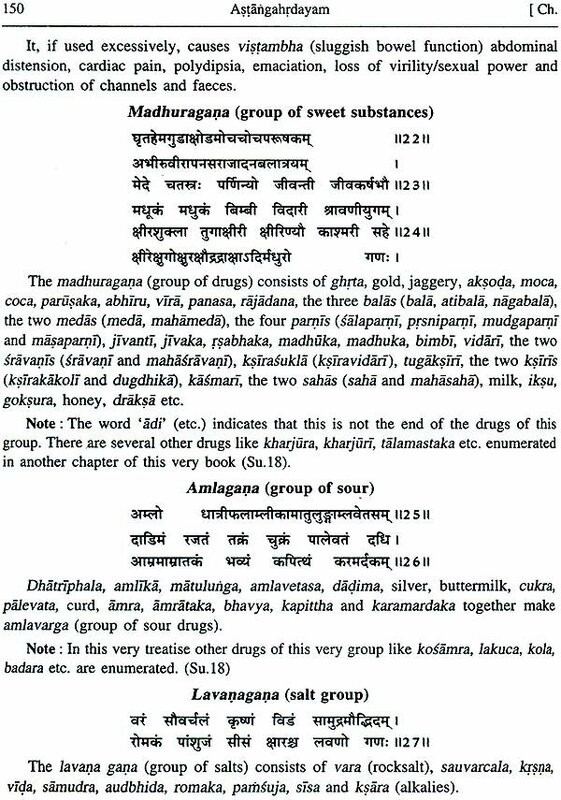 Some scholars consider' Samgraha' to be older then 'Hrdeye', But had that been the case the prier one would have been included in the 'Brhattrayi’ instead of the later one. 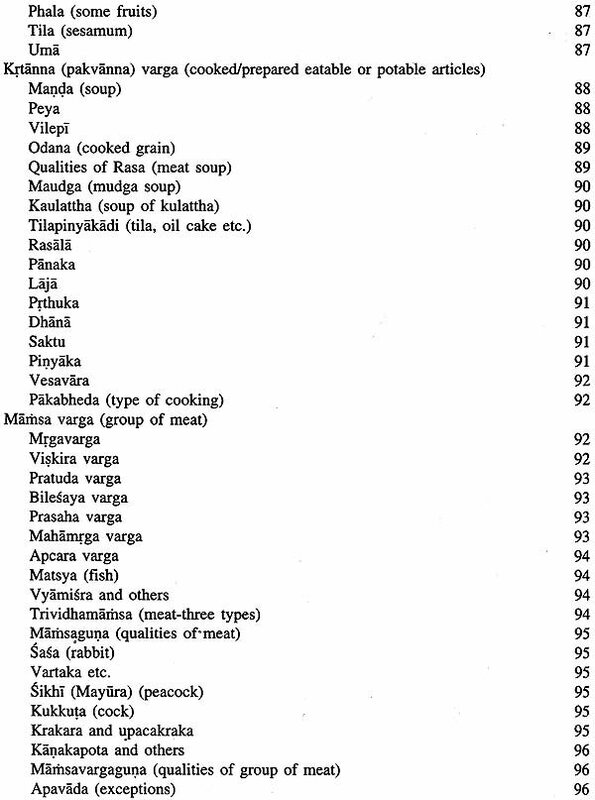 More over popularity of 'Astangahrdaya' among scholars and commentators also proves its antiquity. 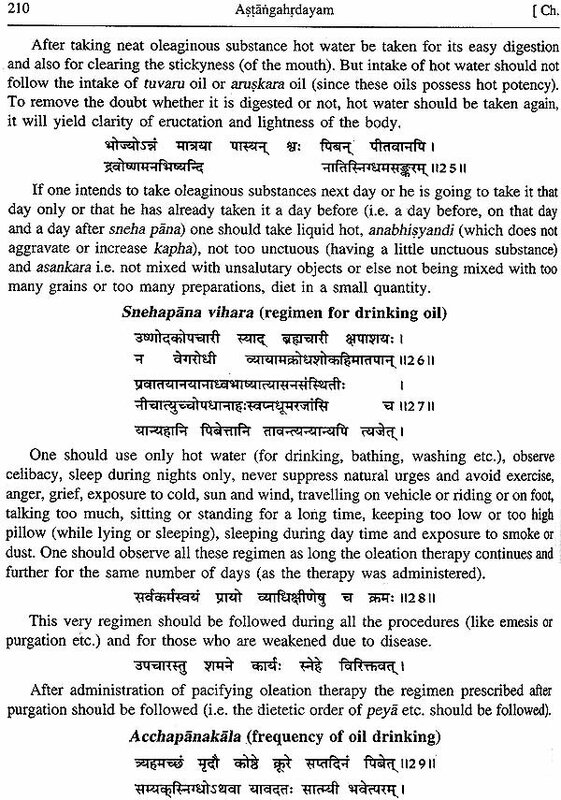 The date of Vagbhata the author of 'Astangahrdaya' is before Madhava (7th Cent. A.D.) and after Dalhana (5th Cent. A.D.), which comes to be 6th cent. A.D. 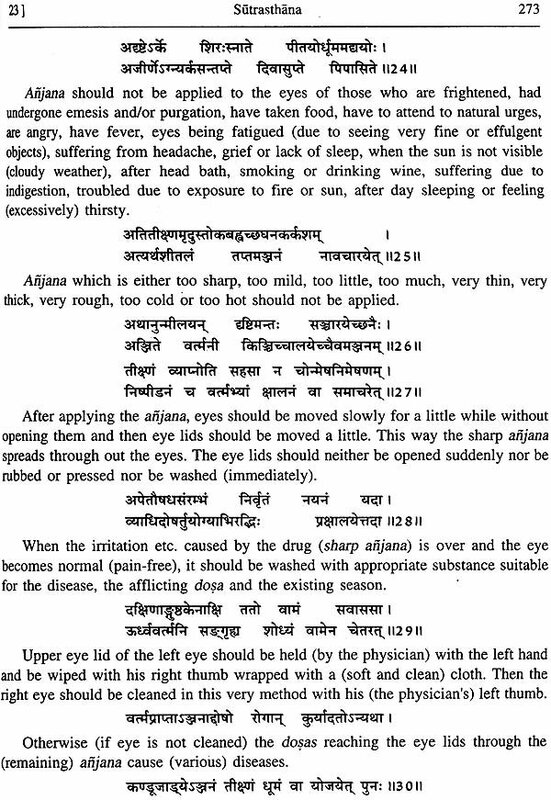 Famous Chinese traveler Itsing, who visited India during 671-695 A.D. refers to the treatise as a book which has brought forth all the eight branches of Ayurveda together. 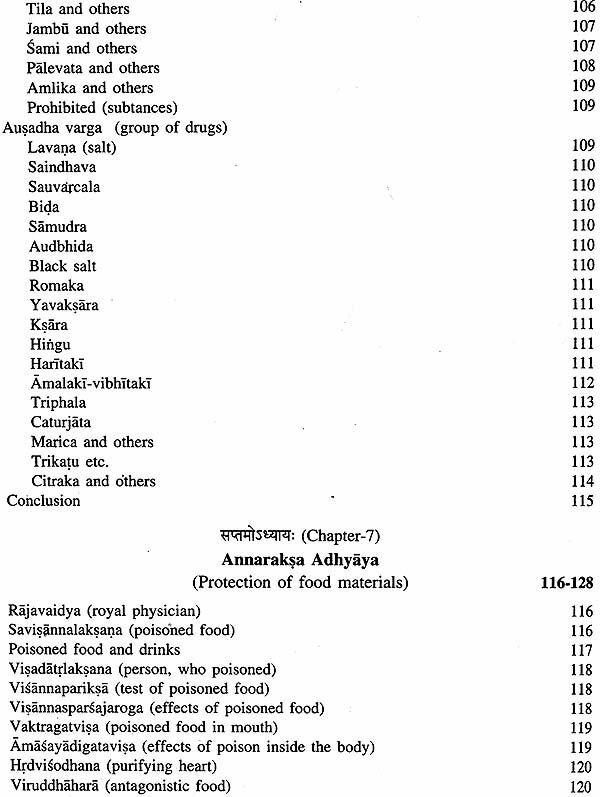 Arunadatta : Popular most commentary , Sarvangasundara' is authored by Arunadatta. 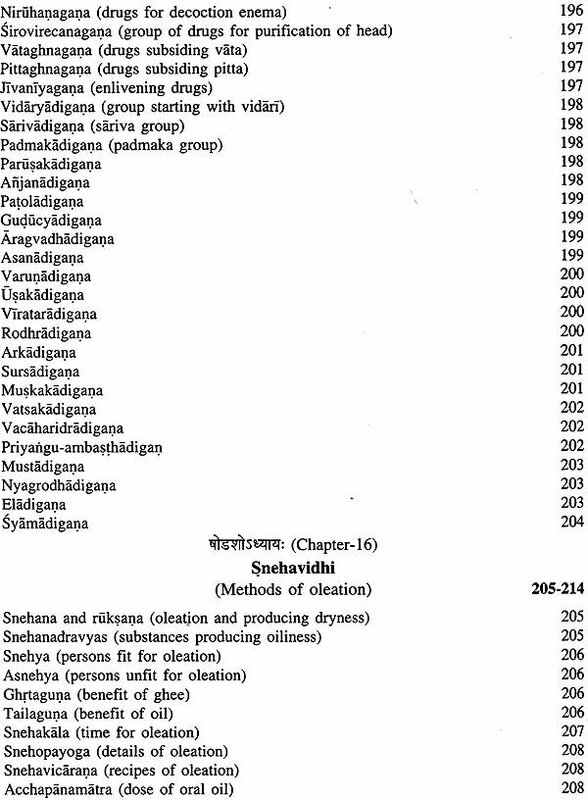 He was son of Mrgankadatta, which he himself has mentioned in the introductory verse and colophons. 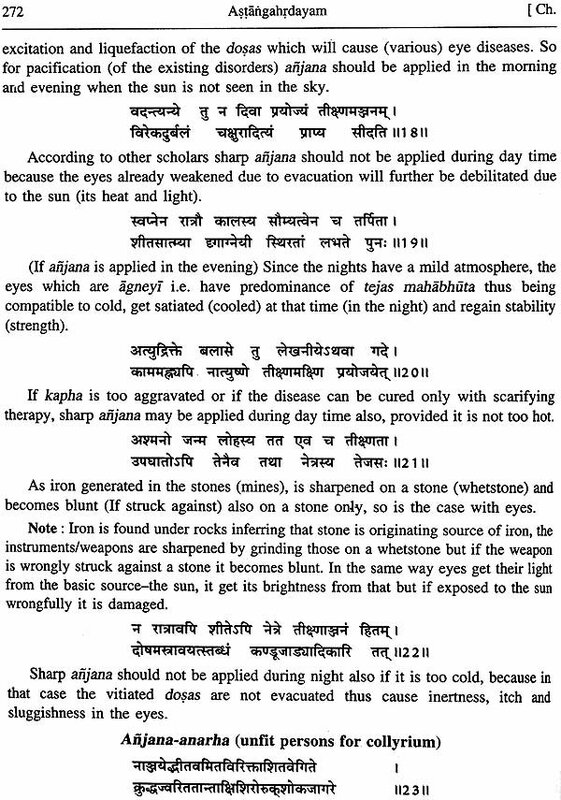 The date of Arunadatta can be fixed around 1200 A.D. since Cakrapani (11th Cent. 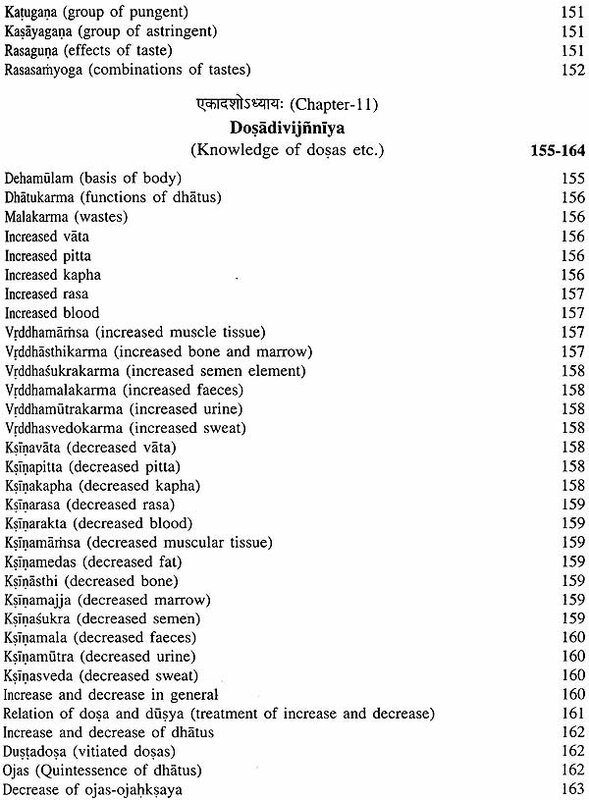 A.D.) and Dalhana have not refered him but Vijayaraksita (early 13th cent. A.D.) and Hemadri (late 13th cent. A.D.) have quoted him. 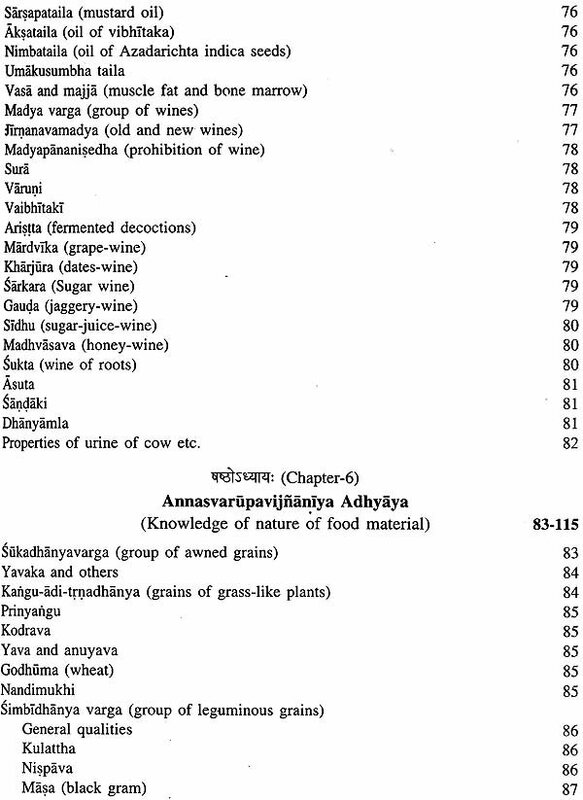 According to some scholars Arunadatta has written commentaries on 'Susruta Samhita' and 'Astangahrdaya' also. . 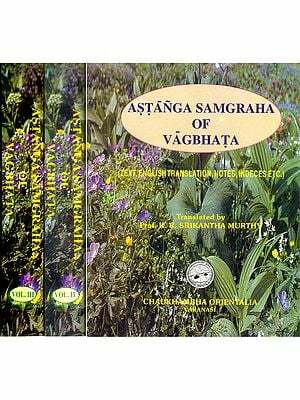 Looking into the need of students only Sutrasthana of 'Astangahrdaya' has been translated. Nearness with the original text had been prime consideration. If something had to be added for explaining any aspect, well, that has been kept under brackets. 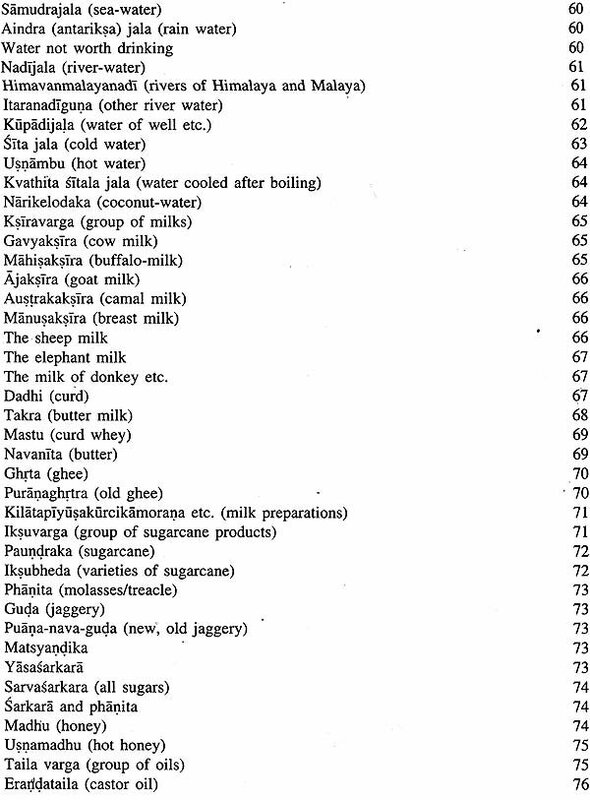 Above mentioned two most important commentaries were taken as basic source. 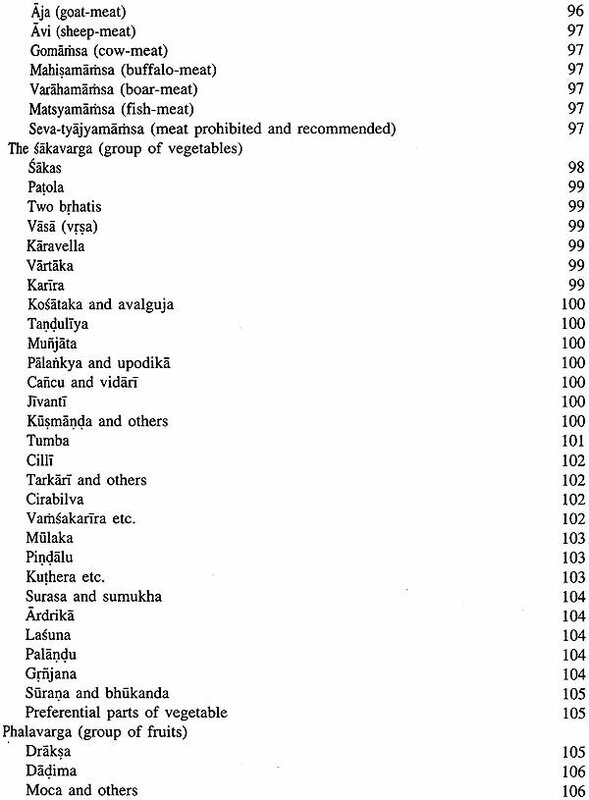 Though those have not been translated yet all the salient points have been given separately. 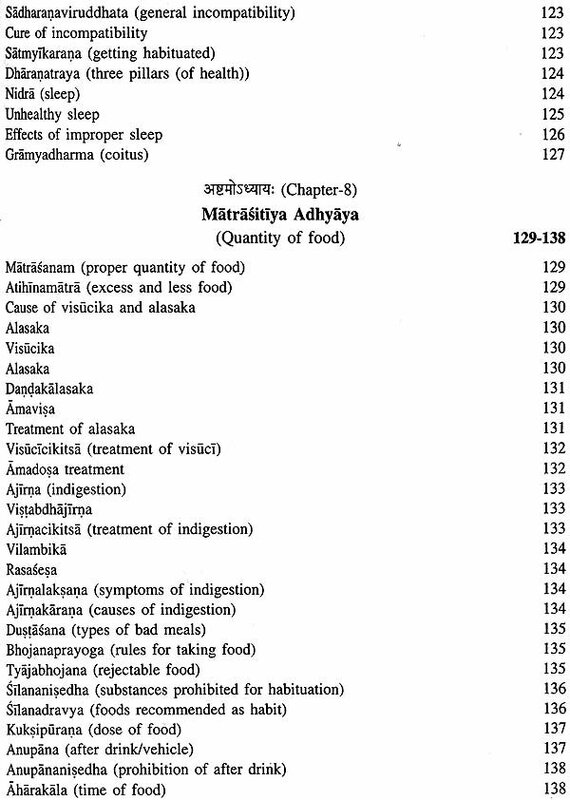 Along with these commentaries help has been taken from 'Vidyotini' the Hindi commentary by Atrideva Vidyalankara. We are grateful to our teachers, for their guidance blessings and encouragements, to our elder sister of her blessings and children including grand child Master Achintya Mishra for their affection and also encouragement. Mr Sunil Gupta and Ashok Gupta our publishers deserve thanks for their effort in timely printing the book. At the end we bow at the feet of gods and goddess Saraswati for their blessings.